You are at:Home»Blog Posts»The Likes of Steve Dale…A Tale of Truth & Fear Free! The Likes of Steve Dale…A Tale of Truth & Fear Free! I’ve got my special Fear Free Cons at the ready to do some walking in Las Vegas. It’s time for the 89th Annual Western Veterinary Conference, a conference I’ve attended for 22 years. I’ve been going to conferences in Vegas for even longer but that’s a story for another day. 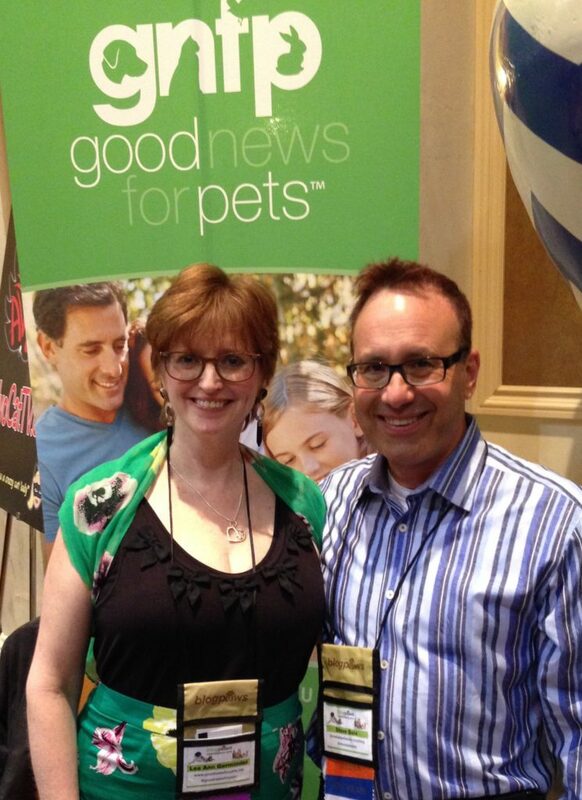 This one that is extra special for this website as it was in 2000 that we launched Goodnewsforpets.com right from the Western Veterinary Conference Media Center – we managed the actual physical center and the online newsroom that year – before the conference had a news website! It seems so arcane now – we flew in our photographer and our copywriting team to labor for hours to get out a site just so – work that takes minutes, if not seconds to launch out into the social media stratosphere. There was even a separate digital show floor showcase where all the .com exhibitors showed their wares. Steve Dale was our first columnist. He had editorial control over his columns and he submitted a column about pet dumps, where in the dark of the night people in certain states literally dumped their pets into holes in the ground. The story was so horrible – I cringe still. I will never forget debating with him that this was not the kind of material that was good news. But, at the end of the day he won out because his argument was right that if people knew the truth about this practice, it just might end. There are many more stories like this Steve has written or causes he has championed because he believes in telling the truth – practices we don’t like to hear about. Steve, like me joined the Fear Free Advisory Board, an initiative created by Dr. Marty Becker. Many much more esteemed advisory board members like Dr. Valarie Tynes interviewed here and speaking at WVC, are getting the word out. We will be talking about Fear Free on Goodnewsforpets throughout the year, and Steve Dale will be speaking out about taking the fear out of veterinary visits. Headed into Western Veterinary Conference, where the launch of Goodnewsforpets happened, all this new activity feels quite right. Safe travels LaG. I look forward to reading your posts. Say hey to Steve!